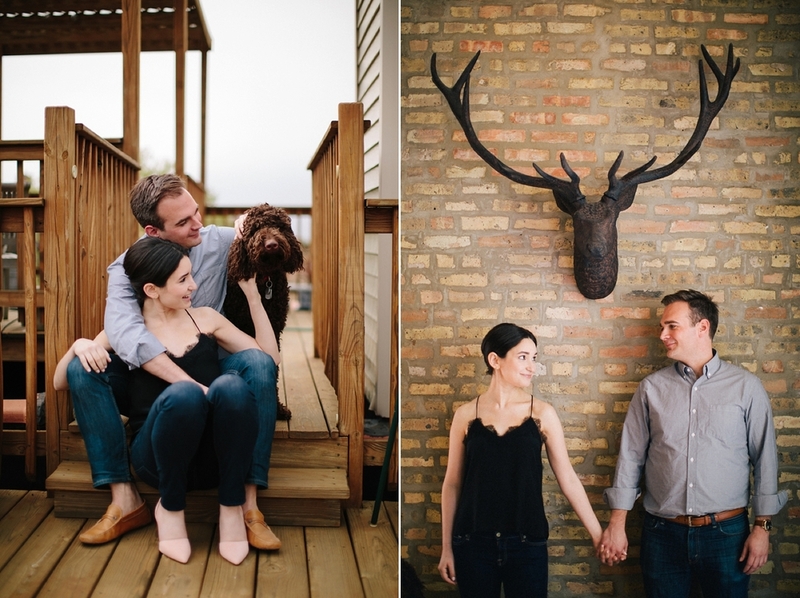 There is something I adore about starting an engagement session in my client's home. It's not something that I often do, but when I have the opportunity to do so - I jump on it. It gives me a closer glimpse into my their lives. Allowing for a much more intimate and meaningful session - something that is very important to me. I don't want engagement sessions to be all about pretty locations. It should be a representation of the couple, their love and their lives together. 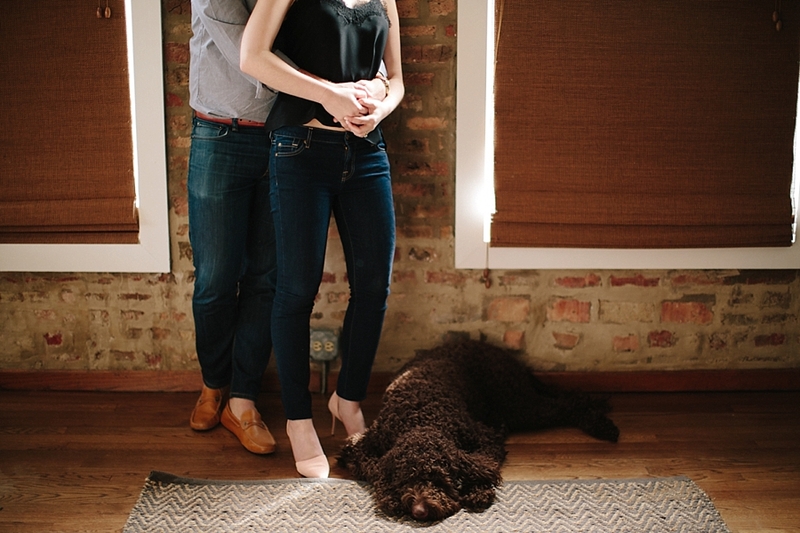 Sometimes that's a specific location, sometimes it's adding a pup to the photo (in this case an adorable Labradoodle), sometimes it's simply taking a step back and just letting the couple, be them. Sentimental value will forever surpass any beautiful location -- at least in my world.